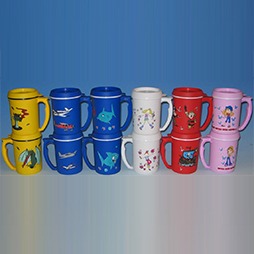 We manufacture and print on thermal mugs. 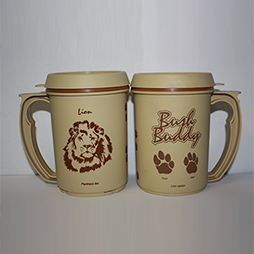 Our mugs are dishwasher and microwave safe, as well as BPA free. 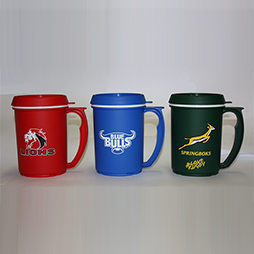 Holding an incredible 350ml’s, our virtually indestructible mug is definitely everyone’s favourite cup of tea! 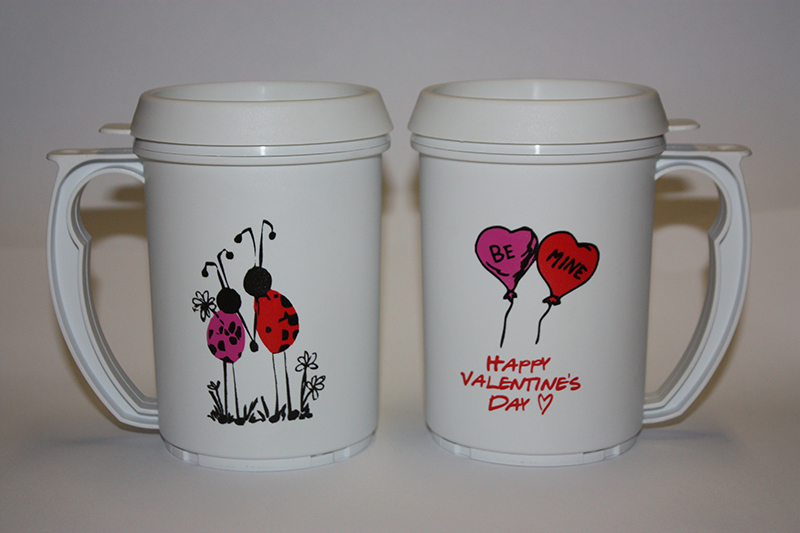 Our mugs are designed to keep hot drinks hot and cold drinks cold… also great for soups and instant noodles too! 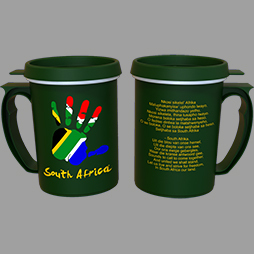 Our mugs are perfect for brand awareness; we use a specialised printing technique to ensure a high-quality, durable print. 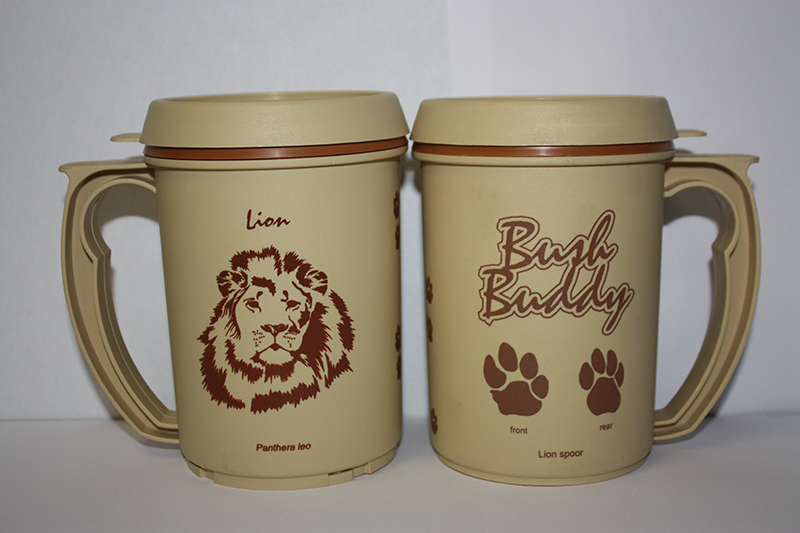 hot drinks hot and cold drinks cold... It's also great for soups! 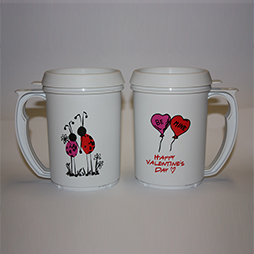 The mugs are made from a high-grade plastic called Polypropylene; this makes them virtually indestructible. 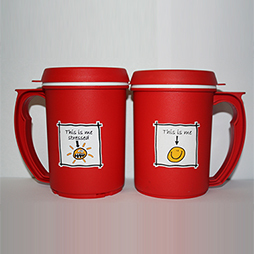 With a drinking spout and a straw hole, these mugs are perfect for kids, reducing spills and the risk of bee stings. 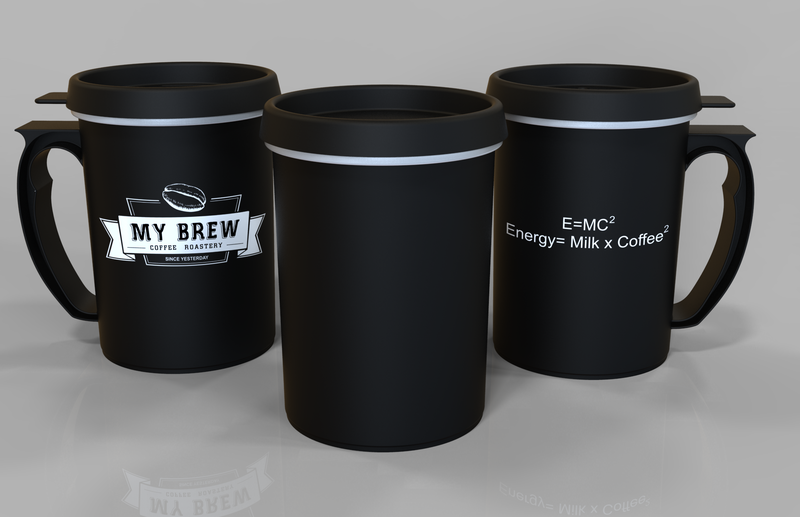 Holding an incredible 350ml's, our thermal, practically indestructible mug is definitely everyone's favourite cup of tea! 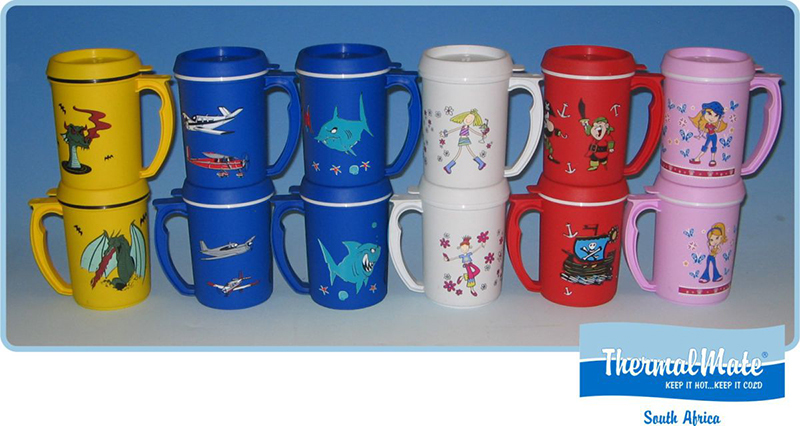 Our mugs are BPA free. The unique clip-able lid ensures the temperature of your drink stays constant for much longer. 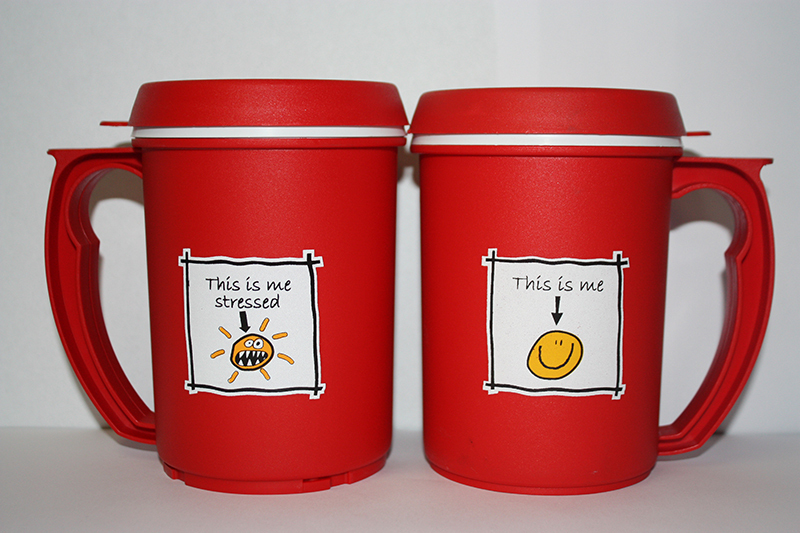 It also clips onto the bottom of the mug. 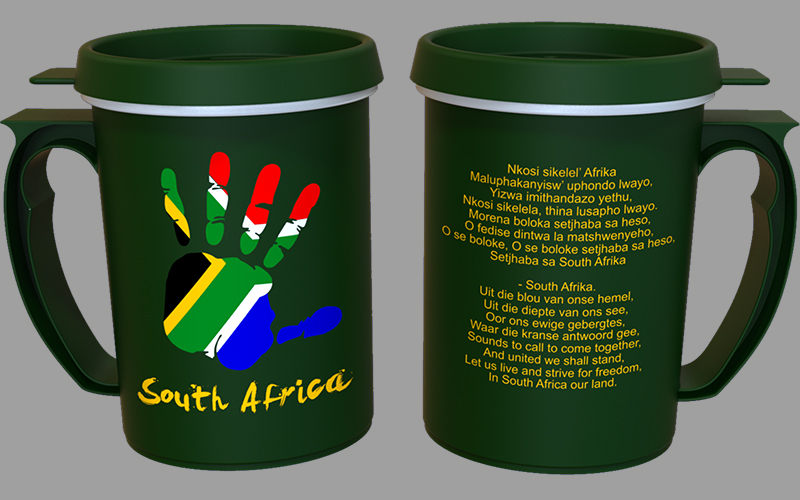 All our mugs are printed in-house with our specialised printing techniques to ensure that the print is that of a high quality product.